The Japanese word for frog, "Kaeru" also means "to return". For this reason frogs are linked to things/people returning to their place of origin. A small frog is often given to travellers to carry as a good luck charm for their safe journey and their return. 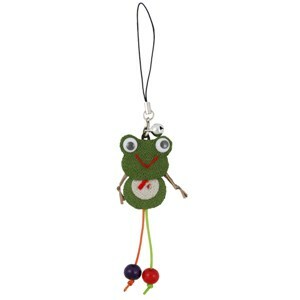 Frog charms put in or attached to purses are also thought to help bring money back to the owner.